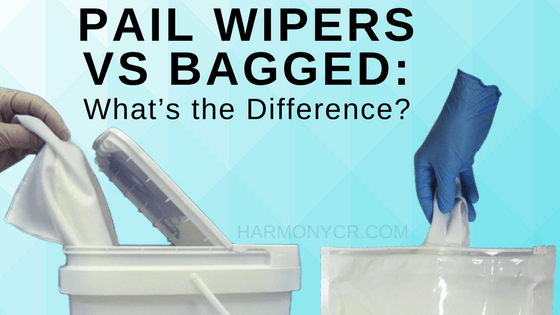 Pail Wipers vs Bagged: What’s the Difference? The cleanroom wipes we know today are an evolution of baby wipes. Indeed, pre-wetted wipes used for baby care needs existed long before the cleanroom industry designed their own pre-saturated wipes. While the general concept behind the two products is the same, the difference lies in wipes’ composition and solution. To be used safely in critical environments, cleanroom wipes are made from materials like polypropylene and polyester, resulting in low particle generation and non-abrasive qualities. Cleanroom wipes are saturated with isopropyl alcohol (IPA) to help technicians clean work areas quickly. There are two main options for purchasing presaturated cleanroom wipes: small packs, and pails (which contain a much higher quantity of wipes). Aside from the number of wipes each option contains, there are some other key differences among the two packages. Let’s take a closer look to determine which option will best suit your needs. Bags of wipers are available, holding about 50 wipes. To retrieve a wipe, the user opens the seal, which covers the hole into the package. The stacked layout of the wipes and resealable seal work together to minimize evaporation. 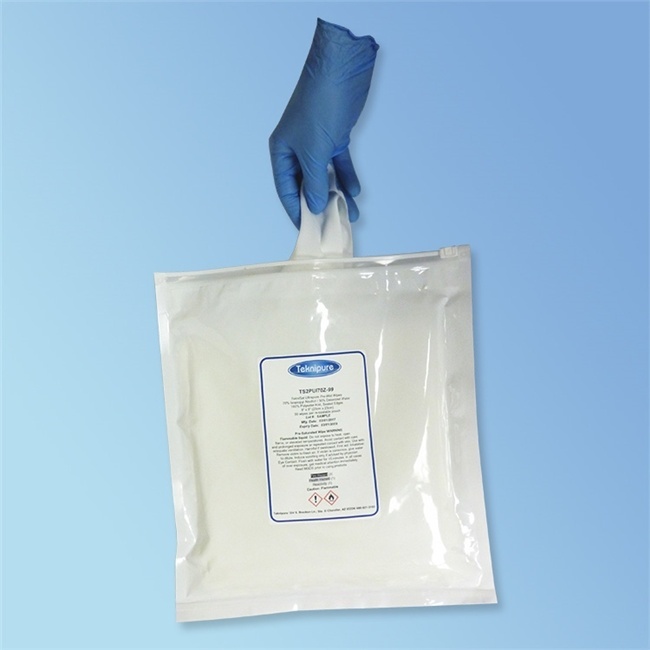 Cleanroom wipes are also available in flex packs, which also have stacked wipes. However, instead of opening a sticker seal, the user opens the interlocking bag (resembling a sandwich bag) to retrieve a wipe. If an entire pack of wipes is to be used over the course of a few days, the wipes will likely retain sufficient moisture. In addition to bags, pre-saturated wipers are also available in pails. 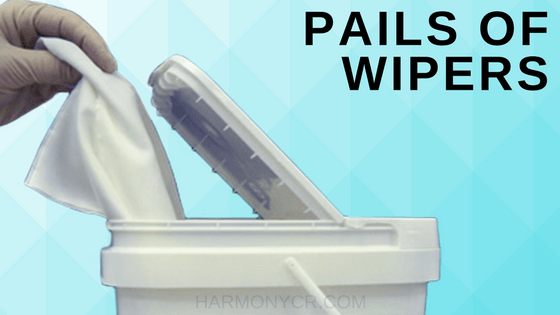 The pails hold more wipes: some hold 150 cleanroom wipes while other pails house as many as 600. The advantage of this packaging lies in the fact that the lid creates a tight seal, which helps to prevent against evaporation. Using a pre-saturated wiper improves cleaning performance & consistency. Anyone who has used a squirt bottle to dispense alcohol for cleaning knows how tricky it is to dispense just the right amount. Overly wet wipes will simply saturate the surface and spread contamination further. Using wipes that are too dry may hinder your ability to attract contaminants in the area. A key feature of presaturation is precise saturation of the solvent. This provides optimal particle and contaminant removal and solvent usage as well as increases consistency of critical component cleaning. If you’re working in a cleanroom environment where wipers are only used to clean up spills every now and then, small packs of wipers may suffice. Yet, for everyday cleaning needs, most technicians prefer to have a large supply of fully-saturated wipers on hand. For this reason, along with the cost savings, cleanroom wiper pails are the leading choice in many companies. Harmony Business Supplies has a large selection of cleanroom wipes available to meet each company’s unique needs. Shop online through our inventory or contact a product specialist for assistance. Maintaining a cleanroom or controlled environment requires the use of products and tools designed specifically for these areas. When spills and contamination occur in these critical environments, your employees should be able to have cleanroom wipes within reach for the most effective and convenient cleaning possible. Here, we’ll provide a basic overview of cleanroom wipes to help you determine which type your organization needs most. Why Are Cleanroom Wipes Needed? To understand why it’s imperative for cleanroom wipes to be used in certain environments, it’s helpful to first have an understanding of cleanrooms. A cleanroom is any sensitive environment in which the amount of pollutants must be monitored and kept to a minimum. Pollutants can include substances found naturally in the air, such as dust, microbes, particles, and even certain vapors. Cleanroom environments are classified according to the number of particles (sized .5 micrometers or larger) allowed per cubic meter. For instance, to be classified at ISO 6, a room must have 35,200 particles or fewer per square meter; but an ISO 4 cleanroom can only have 352. Cleanrooms are used in a broad range of industries, including pharmaceuticals and aerospace semiconductor engineering. They’re also used in manufacturing for medical devices, computer components like microchips, optics, and military applications. 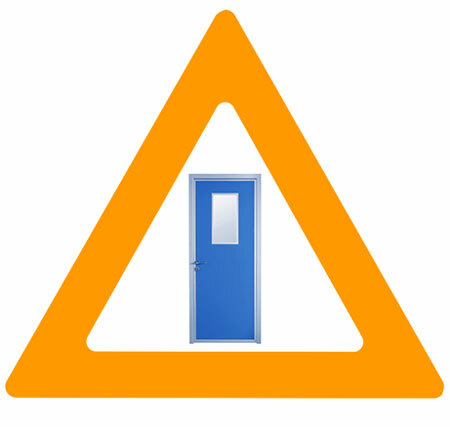 To sustain the appropriate cleanroom classification, employees who work in these highly sensitive environments must follow stringent procedures on a day-to-day basis. Everything from their attire to cleaning techniques must follow a specific protocol to facilitate contamination control. Thus, using the proper cleaning materials is integral to keeping the number of pollutants down in a cleanroom. How Are They Different from Ordinary Wipes? Cleanroom wipes aren’t like ordinary wipes because they’re made differently. They feature lower levels of lint to protect against contaminants, and some boast higher levels of absorbency, resistance to chemicals and abrasion, and in general, better cleaning capabilities. They’re also softer, making them safe for use on sensitive equipment. Like the cleanrooms themselves, cleanroom wipes have different classifications to be used in corresponding cleanrooms. For instance, many cleanroom wipes are compatible with ISO class 6 or higher. Likewise, the wipes are also produced in cleanroom environments, to ensure the highest possible quality. What Are Advantages of Cleanroom Wipes? Cleanroom wipes are handy for quickly wiping down a surface in a cleanroom environment after a spill or contamination has occurred. Some are made to handle specific cleaning solvents, such as IPA, and other types of solutions. Using cleanroom wipes allows your teams to disinfect surfaces while also ensuring sterilization and reducing the levels of endotoxins present in the environment. What Are The Types of Cleanroom Wipes? There are a few different factors to consider when seeking out the best cleanroom wipe to suit your needs. We’ll walk through each, below. Cleanroom Wipers have sealed edges to prevent particle and fiber generation and provide a clean wipe. 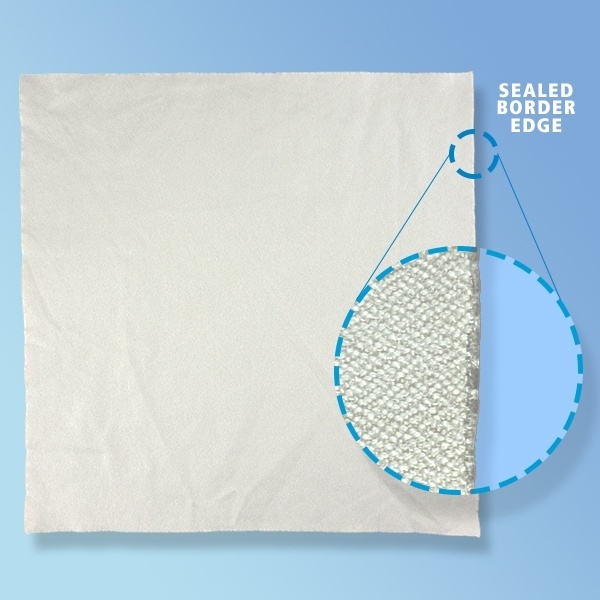 Cleanroom wipes can have a sealed border, a sealed edge, or a cut edge. The level of fiber and particle release will depend on your wipe seal. Note the difference in sealing the border around the wipe (most clean) or just the wipe edge (most common). Sealed Border wipers are the cleanest & best performing choice for your most critical tasks. Maximum cleanliness and fiber control. A proprietary process using pressure & heat is used to create a border seal for optimum fiber and particle retention, resulting in a 5mm Ultrasonic Border Seal around the border of the wipe. Sealed Edge wipers are exceptionally clean and a common critical task wiper. The difference over border seals is that only the edging of the wipe is sealed instead of a border around the edge of the wipe. A Laser Sealed Edge is provided on all sides for maximum fiber and particle retention. A Ultrasonic Sealed Edge involves a process using pressure & heat to create an ultrasonic seal for fiber and particle retention. Ultrasonic Sealing is superior to Laser Sealing as it results in a softer edge, and lower carbon levels. Light weight with a Laser Sealed Edge to provide effective contamination control in critical environments and offer the best value. Low levels of contamination and superb particle removal and retention make this the ideal wiper where economical and effective cleaning is required. Most economical critical use knit wipers. Excellent absorbency and particle removal in controlled environments. Commonly used in many general cleaning applications. Higher levels of fiber and contaminants than knit wipers. Excellent choice for economical cleaning & spill pick-up. These non-woven wipers have Hot Knife Sealed Edges. Dry-knitted and considered to be the cleanest type. They’re often made from polyester and may be safe for use in classes ISO 4 or 5. Woven cleanroom wipes are strong, non-shedding, soft, and highly absorbent. They can even be gamma irradiated for enhanced sterility to support lower microbiological endotoxin levels. A more economical choice for less-critical environments. 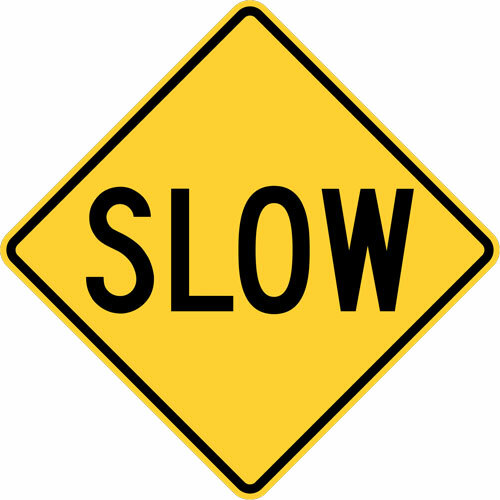 They, too, are strong and low-linting. The wipes made from polypropylene/cellulose blends are resistant to acids and many other types of chemicals. Non-woven wipes are also supremely soft and thus safe for use on sensitive equipment. Wet, or pre-saturated wipes, are already moistened with a cleaning solution such as isopropyl alcohol. The moisture levels in wet wipes may support their ability to capture pollutants, as they facilitate a stronger bond to contaminants. Dry wipes, too, can retain particles, but without a cleaning solution, they must be strong enough to wipe up the spilled material on their own to be effective. However, cleaning solvents can be used with dry wipes separately, affording the user a better ability to achieve their desired level of saturation. While wet cleanroom wipes boast convenience, dry wipes may be more versatile. Ultimately, both serve unique purposes and choosing which is better for your application comes down to personal preference. 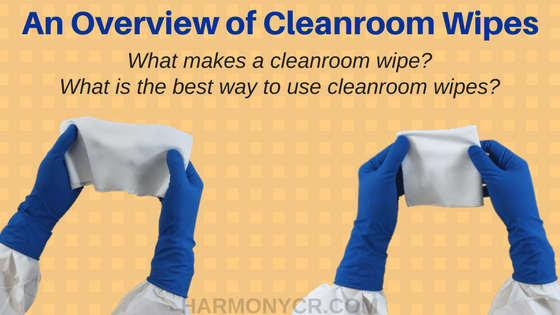 What Are Some Best Practices for Using Cleanroom Wipes? Follow a Schedule: Cleanroom wipes are only effective for reducing particles if they’re being used for regular cleaning in addition to wiping up spills. To maintain sterilized surfaces, proper cleanings should be performed daily. Thus, it’s helpful to encourage your employees to closely follow a routine. While cleaning standards may vary by level, keeping track of cleanings by documenting them can be helpful in any industry and cleanroom class. Fold Wipes: Folding wipes in half or even in quarters allows users to get the maximum use out of their surface area. Using an entire wipe to clean just one small area is wasteful, so to stretch your budget ask employees to fold wipes and then clean each space with a different side. You really shouldn’t use an un-folded wipe. Fold it at least once or twice for the most effective wipe! Quarter-Fold to get the most out of your wipes! Don’t Reuse: While folding extends the capacity of each wipe, it’s imperative to avoid spreading contaminants. Develop a specified technique which all employees should use to avoid cleaning multiple surfaces with the same wipe. 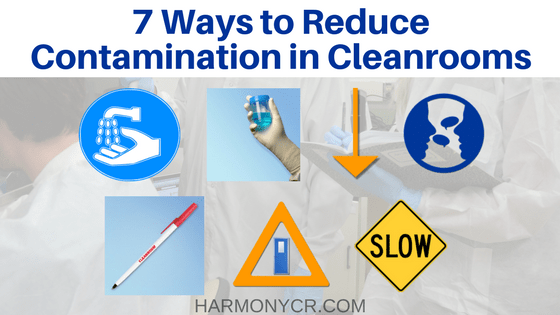 Don’t risk cross-contamination by going back and forth between clean and dirty areas. Moisten Appropriately: Finally, if you’re not using pre-saturated cleanroom wipes, make sure the wipes you use are neither too wet nor too dry. 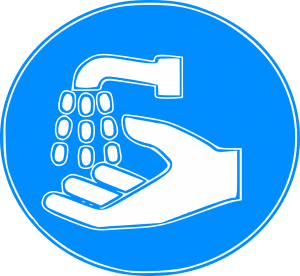 Overly wet wipes will simply saturate the surface and spread bacteria further, while using wipes that are too dry may hinder your ability to attract all of the contaminants in the area. Whichever type of cleanroom wipe you select for your needs, Harmony Business Supplies has the perfect solution for you. You can view our vast selection of cleanroom wipes online now, or get in touch with a product specialist to learn more about identifying the proper type to support your business needs. 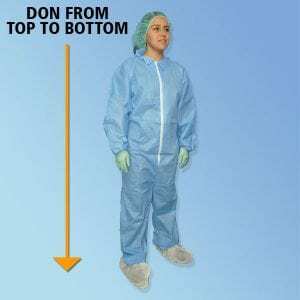 Cleanroom Gloves VS Exam Gloves? 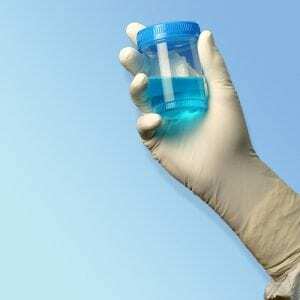 How Are Cleanroom Gloves Different From Exam Gloves? You might think that all disposable gloves are created equal, but that’s simply not the case. In fact, disposable gloves are available in a variety of options, each made with their own distinct purposes in mind. Since 20% of on-the-job accidents involve employees’ hands, selecting the proper type is essential to safeguarding your teams’ well-being. Additionally, using the incorrect type of glove for your intended application could damage materials and equipment, which is too costly a mistake for any company to make. Two of the most common places where disposable gloves are used are cleanrooms and environments where medical exams take place, such as doctors’ offices. Here, we’ll discuss the key differences between cleanroom gloves and exam gloves to illustrate the importance of selecting the right type. Work areas that must remain free from contaminants like dust are known as clean environments (AKA Cleanrooms, or Controlled Environments). It’s also critical for these spaces to be free of other pollutants, including chemical vapors, aerosol particles, airborne microbes, and even static electricity. Most often, these special locations are found within companies that manufacture electronic components, as intricate and sensitive parts such as microchips could become compromised if exposed to any contaminants. Other industries in which cleanrooms are used include pharmaceuticals, scientific research, and aerospace semiconductor engineering. Minimize sub-micron particle contamination by using gloves designed and manufactured for Cleanrooms. Because the need for reducing contaminants is so great, not just any type of disposable glove will do. Cleanroom gloves are designed and processed according to stringent requirements so they’ll be safe for use in controlled sterile environments. 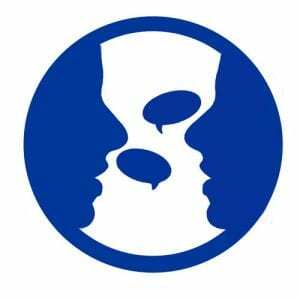 Materials like nitrile, for instance, are known to reduce particle transfer and can be used in both wet and dry handling. 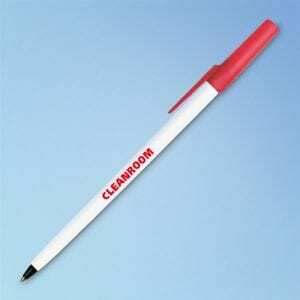 Depending on the application, certain cleanrooms have different classes. A Class 1,000 cleanroom, for instance, means that no more than 1,000 particles of .5 mm or larger are permitted per cubic foot of air. This is known as a class ISO 4 cleanroom. The lower the number, the more sensitive the environment. 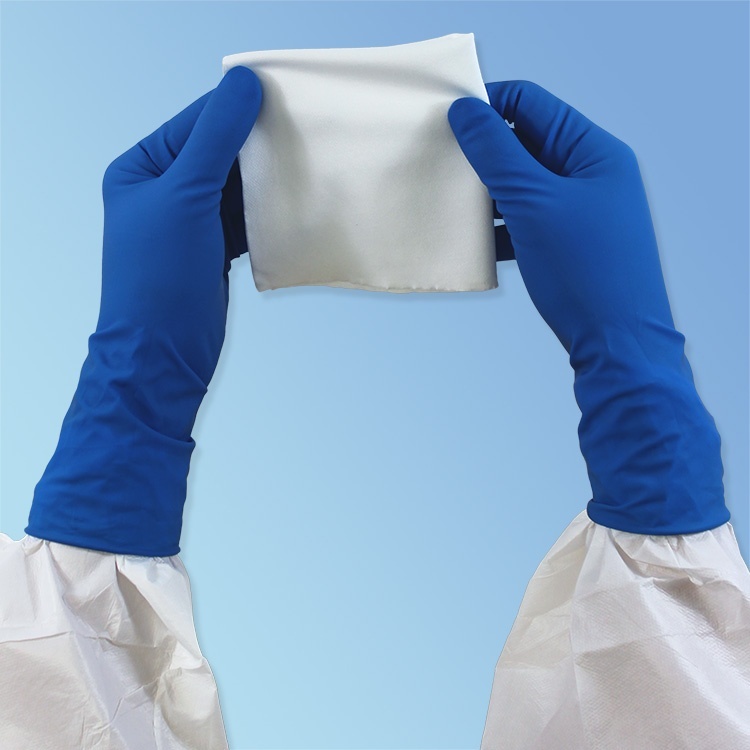 Disposable cleanroom gloves are available for use in various classes of cleanrooms. Most importantly, when purchasing gloves, it’s a good idea to make sure they were produced in cleanroom environments; otherwise, they could contain contaminants. The V-Clean cleanroom nitrile gloves carried by Harmony Business Supplies, for instance, were produced at ISO 5 levels and are thus considered safe for use in class 1,000 to 10,000 cleanrooms. Choosing the most appropriate glove is one of the most important cleanroom consumable decisions. This variation is typically the first to come to mind when we think of disposable gloves. While they can be made from a variety of materials, the primary purpose they serve is to keep both the medical professional and the patient protected against transfer of bacteria, microbes, or any other substances. At the most basic level, they are simply a barrier to block the wearer’s hands from coming into contact with pathogens. Because keeping the wearer’s hands safe is of utmost importance, the primary quality to look for in exam gloves should be thickness. Gloves should thus not tear easily, even when friction is applied. Nonetheless, mobility is another factor to consider, so the thickness of the glove should not impede the wearer’s ability to use their hands freely. Additionally, for the patient’s protection, gloves should be switched out in between every new exam. Due to the frequency of changing them, exam gloves should be cost-effective enough to replace them often, which is why disposable options are the go-to choice among medical facilities worldwide. Gloves used in the medical field should also be easy for the wearer to put on and take off quickly. Another factor to consider when purchasing exam gloves is the material. Latex, which is a natural material made from rubber, has been a leading choice for many years. Latex gloves are an excellent option for a number of reasons: they boast exceptional comfort and dexterity are a cost-effective choice, are lightly powdered to be put on and off with ease, and are biodegradable. Nonetheless, some people are allergic or sensitive to latex, and increased exposure to the material can actually make a person more susceptible to developing an allergy to it, according to the American College of Allergy, Asthma & Immunology (acaai.org). For this reason, alternate materials such as vinyl and nitrile are becoming increasingly popular in medical settings, and are at least a good idea to have “on hand.” Nitrile is also significantly more puncture resistant than latex, providing extra protection against needles and sharps. Whether you need cleanroom gloves or exam gloves, Harmony Business Supplies has you covered. With a large selection of options to choose from, their online store features gloves in various materials and sizes to suit every application imaginable. You can place your order now or speak with a knowledgeable product specialist for additional information.